We all know how self conscious kids can be about the way they look. Some are concerned about their acne, some worry about their weight, and others are self-conscious about a particular facial feature, such as their nose or ears. 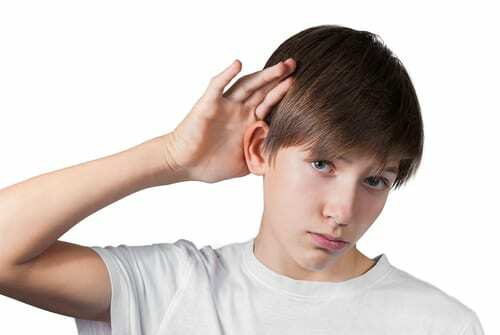 When a child is self conscious about their ears, they often do things to conceal them…they may wear their hair long over their ears to cover them, or they may refuse to pull their hair back or wear a hat because they are self-conscious that their ears will protrude more than they should. Thankfully, there is a simple and quick procedure that can fix protruding ears. Otoplasty is a cosmetic surgery that can be performed on children and teenagers. In fact, The American Society for Aesthetic Plastic Surgery (ASAPS) stated that otoplasty was the most performed procedure last year for individuals who were eighteen and younger. Before an otoplasty procedure can be performed at our Wichita practice, there are certain guidelines that should be met. Children and teenagers under the age of eighteen must have the approval of their parent or guardian before otoplasty can be performed. Once this is confirmed, our board-certified plastic surgeon will decide if an otoplasty is suitable for the child or teenager at the present time. For most people, the ears are fully-grown by the time they are about six years of age. However, for otoplasty to be performed it is usually more important that patients are mentally mature enough to understand that there is a recovery process involved after surgery is complete. Otoplasty is a very effective procedure, but it is essential that children have realistic expectations about the results and want to undergo the procedure for their own well-being. Once a child has been properly evaluated and deemed a good candidate for otoplasty, the surgery can be scheduled. Aside from reducing the amount of teasing that was experienced before surgery, otoplasty is also beneficial by putting the ears in better harmony with the rest of the face, as well as improving the patient’s overall self-esteem. If you or your child think that an otoplasty procedure can be beneficial, feel free to contact our practice to schedule a consultation today. Call (316) 681-2227 or fill out our online contact form. Dr. Matthew Conrad is board certified by The American Board of Plastic Surgery (ABPS) and has helped patients of all ages improve the appearance of their ears. He is dedicated to providing each of his patients with the best outcome possible and looks forward to meeting you soon.